A Santa Fe high school baseball team member who was wounded in the shooting attended the school's playoff game Saturday. Team member Rome Shubert had a bandage on his neck and was still wearing his hospital bracelet at the game. He was dressed in a team jersey but in shorts rather than a uniform. Most members of the Santa Fe team had crosses painted on their face and initials of shooting victims written on tape around their wrists. Some members of the opposing team, Kingwood Park, had "Pray for SF" written on tape around their wrists. Members of both teams gathered on the field arm-in-arm and said a prayer before the game. The Santa Fee team fashioned a tape cross over the dugout with ten initials for the 10 students and teachers killed and, "missed but never forgotten." The attorney for the suspected Texas high school gunman says "it appears" there might have been "teacher-on-student" bullying of shooting suspect Dmitrios Pagourtzis prior to the attack. Nicholas Poehl says he's read reports of his client being bullied by football coaches at Santa Fe high school, where 10 people were killed and 13 wounded Friday. But he said, "I don't have confirmation on that." In an online statement, however, the school district says it investigated bullying accusations and "confirmed that these reports were untrue." Poehl said Saturday that there was no history of mental health issues with Pagourtzis, though there may be "some indications of family history." He said it was too early to elaborate. Poehl says he met with Pagourtzis after he surrendered to authorities on Friday, and again on Saturday and, "It's very difficult circumstances and his demeanor and behavior are consistent with that." The mother of school shooting victim Shana Fisher says she thinks her 16-year-old daughter was intentionally targeted by Dimitrios Pagourtzi. Sadie Rodriguez says Pagourtzi repeatedly made advances toward Fisher in the four months leading up to the shooting. She says Pagourtzi was an ex-boyfriend of Fisher's best friend. Rodriguez says: "He kept making advances on her and she repeatedly told him no," but the advances got more aggressive. The week before the shooting, Rodriguez says that her daughter "stood up to him" by embarrassing him in class. Rodriguez described her daughter as a "shy and sweet" girl with a passion for video games. She shared a video of Fisher from 2015, in which the teen contemplates whether or not she'll continue making gaming videos because her computer keeps crashing. Texas Gov. Gregg Abbott says three days of round table discussions on how curb school shootings will begin Tuesday. Abbott, a Republican, tweeted Saturday that the meetings will seek "to craft policies to better protect students & teachers & schools." A 17-year-old student is accused of opening fire inside his high school in Santa Fe, near Houston, on Friday, killing 10 people and wounding 13 others. Abbott had promised to convene state officials and others on both sides of the gun debate - including victims of Friday's shooting and a deadly church shooting in November in the town of Sutherland Springs, near San Antonio. Addressing reporters Friday, Abbott didn't mention gun control but said "we need to do more than just pray for the victims and the families." The family of the 17-year-old student accused of opened fire on his Texas high school, killing 10 people and wounding 13 others, says what happened "seems incompatible with the boy we love." Dmitrios Pagourtzis family said in a statement Saturday, "We are as shocked and confused as anyone else by these events that occurred" while offering prayers and condolences to the victims. The family said it remained "mostly in the dark about the specifics of yesterday's tragedy" but "what we have learned from media reports seems incompatible with the boy we love." It added, "We share the public's hunger for answers as to why this happened, and will await the outcome of the investigation before speaking about these events." Pagourtzis is being held on capital murder charges. Investigators say he admitted "shooting multiple people." Authorities have released the names of the 10 people who were killed in the mass shooting at a Texas high school. The Galveston County medical examiner's office and sheriff's office issued a statement Saturday listing those killed as: Glenda Perkins; Cynthia Tisdale; Kimberly Vaughan; Shana Fisher; Angelique Ramirez; Christian Riley Garcia; Jared Black; Sabika Sheikh; Christopher Jake Stone; and Aaron Kyle McLeod. Authorities say a 17-year-old student, Dmitrios Pagourtzis (puh-GOR'-cheez), opened fire in the school southeast of Houston on Friday, killing 10 people and injuring at least 13 others. He faces murder charges. The FBI says 13 people, not 10, were injured in the mass shooting at a Texas high school in which 10 people were killed. The agency's Houston office tweeted the updated injured count on Saturday. A 17-year-old student is being held on murder charges in Friday's attack at the high school in Santa Fe, which is about 30 miles (50 kilometers) southeast of Houston. The updated FBI number still doesn't fully explain the discrepancy with the number of wounded reported by hospitals. Area hospitals reported Friday that they had treated 14 people for injuries related to the shooting. But it's not clear whether some of those weren't directly related to the attack. A Colorado man says his nephew was among the 10 people who were killed in the mass shooting at a Texas high school. Robert Stone told The Associated Press by phone Saturday that authorities officially notified his family that his nephew, Chris Stone, was among those killed in Friday's attack at Santa Fe High School. He says he's driving from Colorado to Santa Fe, about 30 miles southeast of Houston, to be with his family. He declined to comment further, saying his family wants to maintain its privacy. Freshman student Abel San Miguel told the AP that Chris Stone was one of the students who tried to block the door to an art classroom to prevent the shooter from entering. San Miguel, who was in the classroom, says the attacker fired his shotgun through the door, hitting Stone in the chest. Students at a Texas high school where a gunman killed 10 people are being allowed inside the building to get car keys and other belongings they left behind. Walter Braun, the school district's chief of police, said at a news conference Saturday that the students will be allowed inside Santa Fe High School in groups of no more than 10 and would be accompanied by officers. He said about 50 students had been admitted as of Saturday afternoon and that others would be allowed in for about three more hours. Braun and other officials declined to answer questions about the investigation into Friday's shooting, deferring to the FBI, which has taken the lead. Authorities say it was carried out by a 17-year-old student, Dmitrios Pagourtzis (puh-GOR'-cheez), who faces murder charges. At least 10 people were injured in the attack, including a school police officer who was shot and wounded. Braun says the officer remains in critical condition. A Texas official says explosive devices found with the suspected gunman at a high school near Houston weren't capable of detonating. Galveston County Judge Mark Henry said Saturday that authorities found a group of carbon dioxide canisters taped together, and a pressure cooker with an alarm clock and nails inside. But he says the canisters had no detonation device and the pressure cooker had no explosive material. Henry also says police exchanged "a lot of firepower" with 17-year-old Dmitrios Pagourtzis (puh-GOR'-cheez) before the Santa Fe High School student surrendered. The shooting took place in an art room Friday morning on the roughly 1,400-student campus. Pagourtzis in jailed on murder charges. Pakistani businessman Abdul Aziz Sheikh says he learned of the tragedy unfolding at a high school in Texas when he turned on the TV after iftar, the fast-breaking meal during the Muslim holy month of Ramadan. Realizing it was the school where his 18-year-old daughter, Sabika, was an exchange student, he flipped through channels trying to learn more and left her messages, but she didn't reply. He called his daughter's friends, but they weren't responding either. It was only when he reached the exchange program that he got the bad news: Sabika Khan was among the 10 people killed in Friday's mass shooting at Santa Fe High School, southeast of Houston. Fighting back tears, her father told The Associated Press on Saturday in Karachi that Sabika was due home in about three weeks for the holiday marking the end of Ramadan. He says he thought she would be safe in the U.S. The head of the U.S. House Homeland Security Committee says the teenager suspected of killing 10 people and wounding others at a Texas high school collapsed while giving himself up, avoiding a police confrontation. Republican Texas Rep. Michael McCaul, a former federal prosecutor, says 17-year-old Dimitrios Pagourtzis (puh-GOR'-cheez) "sort of fell to the ground and surrendered." McCaul said late Friday that Pagourtzis wore a trench coat despite the sweltering temperatures earlier that day "to hide the shotgun and .38-caliber underneath" during the attack at Santa Fe High School near Houston. He says authorities recovered a couple of explosive devices at the school and "several" in Pagourtzis' vehicle and home, and that they've been sent for testing to the FBI laboratory in Quantico, Virginia. A hospital treating three of the people injured in the mass shooting at a Texas high school says one patient, who is a minor, is in good condition and the other two patients are in critical condition. The University of Texas Medical Branch tweeted the update Saturday. Hospitals on Friday reported treating a total of 14 people for injuries related to the shooting. Ten people, mostly students, were killed in the attack Friday at the high school in Santa Fe, about 30 miles southeast of Houston. A 17-year-old student, Dimitrios Pagourtzis (puh-GOR'-cheez), has been arrested in the attack on murder charges. The shooting was the deadliest school attack since 17 were killed in February at Marjory Stoneman Douglas High School in Parkland, Florida. Investigators say a 17-year-old admitted he went on a shooting rampage at a Southeast Texas high school that left 10 dead, most of them students. According to a probable cause affidavit, Dimitrios Pagourtzis (puh-GOR'-cheez) told investigators that when he opened fire at Santa Fe High School on Friday morning, "he did not shoot students he did like so he could have his story told." Authorities have not offered any motive. Pagourtzis is being held without bond at the Galveston County Jail. Sophomore Zachary Muehe told The New York Times that Pagourtzis entered his art classroom armed with a shotgun and was wearing a trench coat and a shirt emblazoned with the slogan "Born to Kill." A sophomore at Santa Fe High School says he was in his art class when he suddenly heard three louds booms. Zachary Muehe tells The New York Times he then "saw the kid who's in my football class ... and I saw him with a shotgun." Muehe says that classmate, 17-year-old Dimitrios Pagourtzis, was wearing a trench coat and a T-shirt emblazoned with the slogan "Born to Kill." The sophomore says Pagourtzis started shooting as soon as he entered the classroom. Muehe says "it was crazy watching him shoot and then pump." He was able to flee to another classroom through a shared ceramics closet. Pagourtzis has been charged with capital murder. 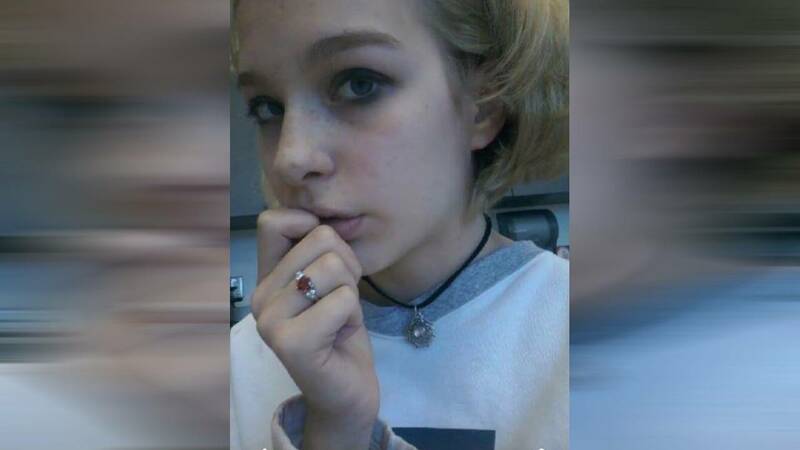 A student at a Houston-area high school where 10 people were killed says it was a "perfectly normal day" before shots rang out in her art classroom. Breanna Quintanilla, a 17-year-old junior at Santa Fe High School, says that when Dimitrios Pagourtzis walked into the room, he pointed at one person and said, "I'm going to kill you." She did not identify the student who was shot. Quintanilla also says the suspect fired in her direction as she tried to run out of the room. She says the bullet ricocheted and hit her right leg. She was still wearing a hospital bracelet on her wrist as she spoke after a Friday night vigil. Pagourtzis has been charged with capital murder in the school shooting. He was denied bond at a hearing earlier Friday. A leader at a program for foreign exchange students and the Pakistani Embassy in Washington, D.C., say a Pakistani girl is among those killed in the Texas high school shooting. Megan Lysaght, manager of the Kennedy-Lugar Youth Exchange & Study Abroad program, sent a letter to other students in the program confirming that Sabika Sheikh was killed in the shooting at Santa Fe High School. The letter says the program is devastated by Sabika's loss and would be holding a moment of silence for her. Lysaght declined further comment when contacted by The Associated Press and referred calls to a State Department spokesman. The Pakistan Embassy in Washington identified Sabika as a victim of the shooting on Twitter and wrote that "our thoughts and prayers are with Sabika's family and friends." The chairman of the House Homeland Security Committee says he expects the Justice Department to pursue additional charges against the suspected gunman at a Texas high school. Texas Rep. Michael McCaul told The Associated Press on Friday that federal prosecutors are looking into possible weapons of mass destruction charges against 17-year-old Dimitrios Pagourtzis. The Santa Fe High School student was in custody on murder charges and made his initial court appearance Friday evening by video link from the Galveston County Jail. He's accused of killing 10 people, most of them fellow students. Authorities say he also had explosive devices that were found in the school and nearby. McCaul is a former federal prosecutor. He thinks the Justice Department "wants to ramp this up as much as they can to send a message of deterrence." Four pipe bombs were found inside Santa Fe High School, where authorities said 17-year-old Dimitrios Pagourtzis opened fire Friday, killing 10 and wounding 10. A 17-year-old boy carrying a shotgun and a revolver opened fire at a Houston-area high school Friday, killing 10 people, most of them students, authorities said. It was the nation's deadliest such attack since the massacre in Florida that gave rise to a campaign by teens for gun control. The suspected shooter, who was in custody, also had explosive devices, including a Molotov cocktail, that were found in the school and nearby, said Gov. Greg Abbott, who called the assault "one of the most heinous attacks that we've ever seen in the history of Texas schools." Another 10 people were wounded at the school in Santa Fe, a city of about 13,000 people roughly 30 miles southeast of Houston. One hospital reported treating eight wounded patients. Six were treated and released. One was listed in critical condition, and another in fair condition. "It's been happening everywhere. I've always kind of felt like that eventually it was going to happen here too, so," Santa Fe student Paige Curry told Houston television station KTRK. "I don't know. I wasn't surprised. I was just scared." Michael Farina, 17, said he was on the other side of campus when the shooting began and thought it was a fire drill. He was holding a door open for special education students in wheelchairs when a principal came bounding down the hall and telling everyone to run. Another teacher yelled out, "It is real!" KSAT's Courtney Friedman reported that students said the shooting occurred in an art classroom and a pulled fire alarm led to more confusion. "I debated doing that myself," he said. A law enforcement official identified a person in custody in the shooting as Dimitrios Pagourtzis, also 17. The official was not authorized to discuss the shooting by name and spoke on condition of anonymity to The Associated Press. Pagourtzis, who was charged with murder, plays on the Santa Fe High School junior varsity football team, and is a member of a dance squad with a local Greek Orthodox church. Acquaintances described him as quiet and unassuming, an avid video game player who routinely wore a black trench coat and black boots to class. "My heart is so heavy for the students of Santa Fe High School. It's an all too familiar feeling no one should have to experience. I am so sorry this epidemic touched your town - Parkland will stand with you now and forever," Marjory Stoneman Douglas student Jaclyn Corin said in a tweet. She also directed her frustration at Trump, writing "Our children are being MURDERED and you're treating this like a game. This is the 22nd school shooting just this year. DO SOMETHING." The calls for tighter gun controls that have swelled since February have barely registered in gun-loving Texas - at least to this point. Texas has some of the most permissive gun laws in the U.S. and just hosted the NRA's annual conference earlier this month. In the run-up to March primaries, gun control was not a main issue with candidates of either party. Republicans did not soften their views on guns, and Democrats campaigned on a range of issues instead of zeroing in on gun violence.